CityScape Capital Group created the CCG Historic Partners Funds to invest in historic rehabilitation tax credit projects throughout the country. A geographic and multiple-use sampling of historic rehabilitation tax credit investment projects with their approximate historic tax credit amounts ("HTC") is presented below. Pearl Properties, LLC successfully completed the $10.4 million rehabilitation of the historic 1939, 6-story brick building located at 1200 Walnut Street in Philadelphia, PA. The building is being converted into 25 luxury loft residential units and 4,150 sq ft of rentable ground floor commercial space. In concert with a local neighborhood non-profit, the Regional Housing and Community Development Alliance completed the $15.4 million renovation of 16 vacant, scattered-site buildings located in an 8-block area of the Old North St. Louis neighborhood in St. Louis, MO. The project provided 42 units of affordable housing for the local community. The Apollo Theater Foundation, a non-profit entity, completed the $20 million renovation of the historic Apollo Theater, located at 253 W 125th St. in New York, NY. 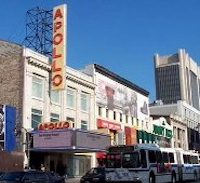 Based in the heart of Harlem, the 1914 Apollo Theater is an important cultural landmark that launched the careers of numerous music legends such as Ella Fitzgerald, Michael Jackson and James Brown. Today the revitalized Apollo Theater continues to present world-class live performances as well as educational programs. 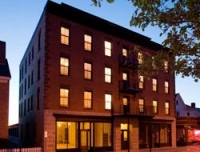 Brenton Realty Investments, LLC successfully completed the $18.6 million rehabilitation of three historic buildings located at 423 Hope Street in Bristol, Rhode Island. The Belvedere Hotel, Bullock House & Carriage House were converted into 16 high-end residential apartments and approximately 5,500 sqft restaurant space. An additional floor was added to the historic 4-story Belvedere hotel to include 2 penthouse units. Boxwood LLC completed the $5.8 million rehabilitation of a historic 2-story, 25-room country manor house known as the Main Building located at 132 Becktown Road in Mocksville, NC. The building was converted into a 9,000 sqft event and meeting complex containing office space. Vinco Properties Inc. and Abrams Properties LLC successfully completed the $15.5 million rehabilitation of a section of the historic former Foxborough State Hospital complex located at 28 Chestnut Street in Foxborough, MA. The project offers 55 residential units as part of a large-scale plan to convert the 136-acre site into a diverse complex of leisure, residential, office and retail space. Court Center Holdings, LLC has transformed the historic, 3-story Court Center building with lower-level basement into approximately 41,549 square feet of rentable entertainment-oriented commercial space. Court Center offers five entertainment venues providing restaurants, bars, live music and dancing. Landex Corporation successfully completed the $24.3 million renovation and adaptive re-use of the historic 6-story building located at 181 6th Street East in Winston-Salem, NC. The building was converted into 82 residential apartments. Monroe Madison Management, LLC completed the $6.3 million renovation of the historic Madison Apartments building located at 1021 W. 1st Avenue in Spokane, WA. The five-story, 1905 brick building was converted into 67 apartments and approximately 20,000 sqft ground floor retail and storage space. The former Naval Training Center (NTC) in San Diego, CA, has been transformed into Liberty Station, a new urban village mixing homes with places of work, education, recreation and entertainment. NTC Promenade, consisting of 26 historic buildings covering 28 acres, is the designated cultural district for the arts, culture, science and technology at Liberty Station. Phase I of NTC Promenade was the $29 million renovation of six historic buildings offering over 110,000 square feet of commercial space to a diverse range of community-based non-profit groups. The Children's Center, Inc., a non-profit entity, successfully completed the $11.4 million rehabilitation and adaptive re-use of the historic Oquirrh School, located at 350 South 400 East in Salt Lake City, UT. Originally built in 1894 to educate the children of local mining families, The Children's Center, Inc. transformed the 38,000 sq ft building into a modern day school and center for children with emotional and behavioral problems. Friends of the Pomona Fox, a non-profit entity, completed the $10 million rehabilitation of the historic Pomona Fox Theatre located at 114 West Third Street, Pomona, CA. The landmark 1931 Art Deco theatre was converted into state-of-the-art venue for concerts, cinema, performances, and parties. Quapaw Baths, LLC, completed the $3.8 million rehabilitation of the historic Spanish Colonial Revival Quapaw Bathhouse located at 413 Central Avenue in Hot Springs National Park, AR. The building, which has been on the National Register since 1974, was transformed into a modern day luxury spa drawing on the legacy of the traditional bathhouses for which Hot Springs is famous. Mosaic Realty Partners, LLC completed the $6 million conversion of the 1922, 4-story Brilliant Silk Hosiery Company Mill Building located at 88 Llewellyn Avenue in Bloomfield, NJ into a 48-unit, market rate, loft-style apartment complex. Silk Mill Lofts offers 48 luxury rental residential lofts plus an exercise room, laundry room, and 91 off-street parking spaces. Ricciardi Company, Inc. completed the $37 million rehabilitation and adaptive re-use of two historic Wamsutta Linen Company mill buildings located at 800 Acushnet Avenue, New Bedford, MA. The two 4-story buildings feature beautiful brick facades, hardwood floors, and approximately 455,000 square feet of floor space. Wamsutta Place now includes 116 condominium units and 134 rental residences.